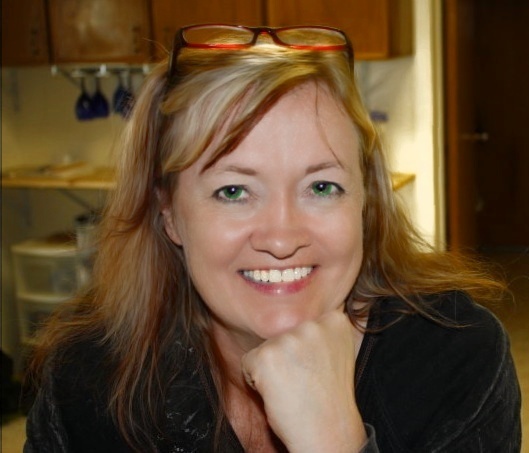 Natalie R. Collins has 9 published books, several others in various stages of publishing, and is currently working on her next one… or two… or three. Her current new book is TIES THAT BIND, from St. Martin’s Press. She has dabbled in both dark suspense and cozy mysteries, and is happy to be able to work in both genres. She has also written for Penguin Putnam, Thompson Gale, BPP, and Sisterhood Publications. She says she does not have a thing for the word “Sister.” A lot of her titles just kind of turned out that way. Maybe it’s branding, and maybe it’s eccentricity. 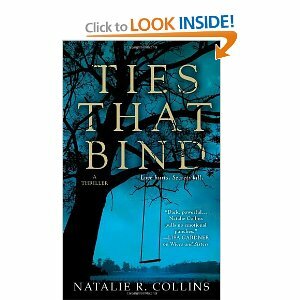 I’ve read every one of Natalie Collins’ books to date and this one, the story of a female police detective’s family destroyed by a tragedy, and the evil that can permeate a small town completely dominated by its Mormon leaders, knocks it out of the park and then some. Teenagers are committing suicide in Kanesville, Utah, and nobody has any idea why. Police Detective Samantha Montgomery has the feeling they’re not suicide, as has been commonly assumed, and when the young son of the stake president is found hanged with a tie, Sam is more than ever convinced that the deaths are murder. She finds her investigation hampered by her conflicting feelings for Detective Gage Flint, who had her taken off another case in another town and in fact made her lose her job. Now Gage has been borrowed from that town to help with this case. In spite of the tension racing back and forth between Gage and Sam, she continues with her investigation, with personal memories assailing her from time to time. All the dead young people were found hanged, as was her own sister when Sam was only six. Too many memories. Too many young people dead by hanging. Sam’s mother, who just gave up when her daughter was hanged and never recovered. Sam’s older sister, who left town and never returned. Sam’s father, who struggles to take care of her mother until he’s forced by Sam to take her to the hospital, where she remains. All of it, piling up on Sam as she continues to fight her attraction to Gage. In this tale of this town that shimmers with evil vibes everywhere, and one female detective’s day by day fight with those trying to keep her from solving any of the cases, I was particularly intrigued by the way Collins brought in new characters. This is the first book I’ve ever read where each new character is introduced by being dropped smack into the story in the middle of a scene without any introduction at all, leaving you to wonder who they are and why they’re here–until a few pages later, when Collins drops in a few of lines of backstory with a deft touch that is perfect every time. It definitely adds to the intensity of the story because you soon realize that nothing in the book is what it first seems and you find yourself constantly guessing, while Collins ups the ante on every page. This is a powerful, first-rate thriller, her best to date. It pulls you into this town with its religious undercurrents and the obsessions of some of its inhabitants. It’s a whole new fascinating look at Mormonism and its spinoff, polygamy, which enters somewhat, but not too much, into the story. That’s it for this week, folks. Looks like fall’s heading our way here in Washington state. 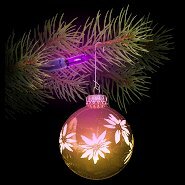 My favorite time of the year, just full of hope and anticipation of the holidays ahead, and blessed, blessed cool nights. I absolutely love it here and so does Sarge, who says “Hey!” See you next week! 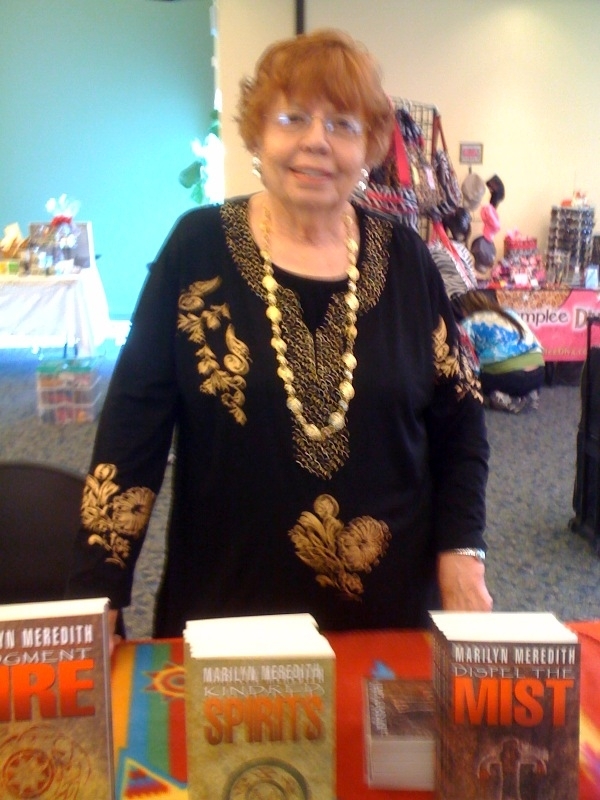 This week I’d like to introduce you to Marilyn Meredith, who, in addition to being a prolific writer, is also an award winning one. This year she nabbed the EPPIE for Best Romance with Supernatural Elements–not an easy contest to win because the competition is fierce. Without further…oh, okay, I won’t bore you with cliches. Let’s go straight to her photo and then she’ll talk to you for a bit. The last few years I’ve gone on a blog tour for each of my books. I hired a blog tour company to do it and all I had to do was write what each person asked for or send a book to be reviewed. The blogs were chosen by the company with the addition of a few I added and the dates all set up. When the time came, all I had to do was visit each blog, read the comments and add my own. 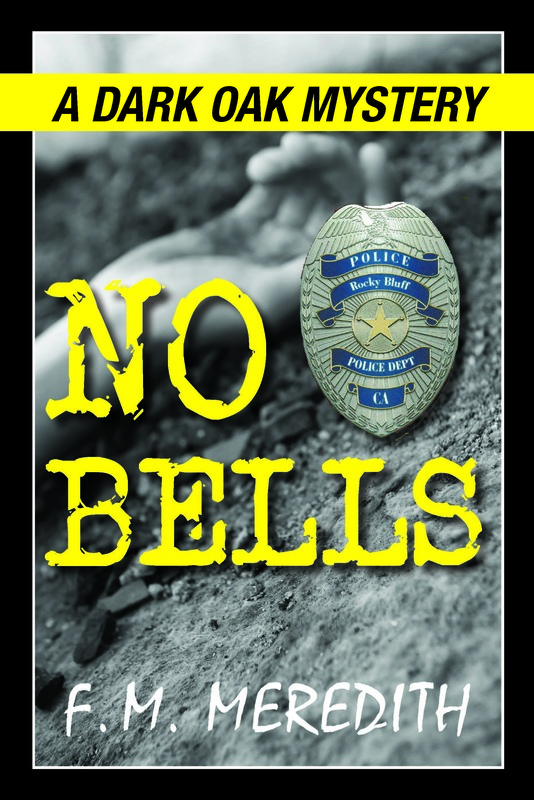 With No Bells, the latest in my Rocky Bluff P.D. crime series, I decided to do the blog tour myself. How hard could it be? Ha, ha, ha. Believe me, these blog tour people earn their money. First I contacted people that I knew through the Internet who write mysteries and have blog sites, letting them know what I wanted and figuring out what dates I’d like to be on their blog. Sometimes, the date had to be changed for one reason or another. I also asked each one what they’d like me to write about. Some had very definite ideas, others told me to write what I want. I have close to 30 blogs on this tour and I really wanted to make each blog different for anyone who might actually visit each one. Thinking up a new topic for those who hadn’t assigned me one became quite a challenge. Yes, I know, I am a writer—but I write mysteries not essays. I made a list on the computer of the dates for each blog, the person’s email and their blog URL. Important so I’d know where to promote and visit each date so I can read the comments and add my own. And since I’m having a contest to see who visits the most blogs, I also have to keep track of that. Now that the tour is in full swing, I’ll soon be able to see what kind of a job I did being my own tour director. Was it worth all the work? 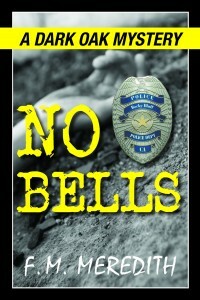 I won’t know until I see if the tour generated sales for No Bells. What I do know at this stage of the tour, that while it is a lot of work, I’ve had a great time. I dearly love all these authors who were willing to give me a day on their blog. Officer Gordon Butler has finally found the love he’s been seeking for a long time, but there’s one big problem. She’s the major suspect in a murder case. Thank you, Marilyn, I hope you get a lot of responses. I enjoyed having you here on this latest blog tour. Good luck with the rest of the tour and all book tours in the future. I hope you’ll visit here again soon with yet again another new book. A small boy sits on the edge of his bed, making a last minute Christmas wish that he’s going to leave on the plate with the cookies and milk. Making sure he gets all the block printed letters right, he asks for just one thing. A puppy. A small puppy lies awake in the corner of his shelter cell, hoping he’ll get his one Christmas wish–a forever home with a little boy. A little girl closes her eyes on Christmas Eve, wondering if Santa will really bring her a new doll. Downstairs, hidden on the top of a shelf in a closet, sits a beautiful baby doll, wondering how long she’ll have to stay in this closet before she meets her new mommie. An old woman sits alone, looking down at her family photo albums, starting with her own childrens’ first Christmas photos many years ago. A young American soldier in Afghanistan stares at his computer screen, his tingertips itching to touch his newborn daughter, born just fifteen minutes ago on Christmas Eve back home in the USA. A small green spruce tree in a Christmas Tree farm crosses its branches, praying it’ll be chosen to go home with the small family two rows over who are looking at a bigger tree. A kitten, left at home while her family is out shopping for their Christmas tree, crouches in the corner, hoping for the biggest tree at the Tree Farm so she can climb up into its branches and pretend to be a decoration just like she did last year. Twin girls separated at their birth seventeen Christmases ago have a very hard time getting to sleep on Christmas Eve because they will meet for the first time tomorrow. Two cops on duty this Christmas Eve sit slumped over their desks, resting for a bit and wondering how many more arrests they’ll have to make before they can go home to their families and try to shed the day’s carnage as they join in on what’s left of the Christmas Eve family fun. A Special Needs child stares at the empty floor beneath the Christmas tree in her living room, wondering if there will ever be anything under it. A Special Needs teacher makes one last trip to the store, gets her gift wrapped before she leaves the store, and heads for the home of one of her students who she knows will not receive much, if anything, this Christmas. She checks to make sure she’s got enough gas left to get home and discovers she does not, and furthermore, she’s spent every cent she had with her on her student. She smiles anyhow. If she has to, she’ll walk the rest of the way home. It’s Christmas and at least one more Special Needs child will have a happy one. 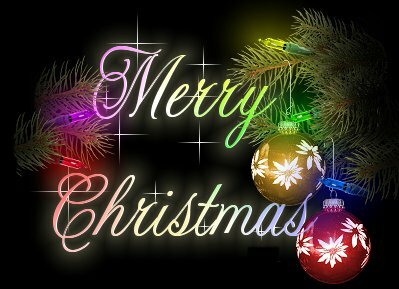 Folks, I want to wish all of you a Very Merry Christmas. It’s been a heck of a year for me, there’s plenty to be grateful for and I hope we all will focus on the good and let the bad stay outside while we have ourselves a Merry Little Christmas. Have a good one. Love each other. Don’t worry about anything but being happy and healthy with your friends and family. The world will eventually settle itself down, times will get better again, but meantime, enjoy your time and remember the reason for the season. Doing that kind of helps keep it all in perspective, doesn’t it, and makes all the hectic shopping trips and all the preparation sort of fade into the past while we enjoy the time we have with people we love. XOXO, Beth Anderson and Hotclue both wish you the very best of everything this whole season. I held my drawing yesterday and my three winners have responded with their addresses and preferences. They are: Brenda Williamson, Jacqueline Seewald, and Sandy Giden. Congratulations to all of you, and thank you again for visiting my blogs. Your books will be on their way to you sometime next week, if not sooner. All of the blogs are on this page and several prior pages, easy to find if you missed someone and you want to see what they had to say on my blogsite, or you can click the links to their blogsites above. I can tell you, if you haven’t visited the various blogsites AND you’re a writer, particularly if you’re a fairly new writer, then you should visit every one of them and stay a while and look around, because there are tons of writing tips you won’t find anyplace else. We each have our own journeys in this wild, wild writing world, and we’ve each pretty come to the same conclusions, only each in our own way. We did this blog tour primarily for new writers, to help shorten their journey to publication, fame and…uh…fortune? Well, two out of three isn’t bad, right? Anyhow, this is our way of saying thanks to our readers, and also trying to help newbies along the way. In closing today, I want to tell you that you can click on the covers of all the books to the right of this blog and go to pages where you’ll find great reviews as well as several chapters of each book for you to read and see if you like my style. 😉 If you do, there are also buy links on those pages, or you can find all of my last four books in both print and ebook on Amazon.com or Barnes&Noble.com by typing in my name. 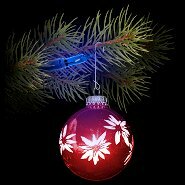 Right now, RAVEN TALKS BACK is on Christmas sale in its ebook incarnation for only $.99 cents at both places. This book has hit the bestseller lists on Amazon numerous times now. I’ve actually lost count, but people are buying it and apparently loving it. (Your mileage may vary, but I hope not 😉 Anyhow, the deal is there so you might give it a try. Come back next week, when I put my new Christmas Page up here on my blog. It’s going to have not only YES! Christmas decorations! but also a slew of brand new Word Pictures, Christmas 2011. Last time I did this (several years ago) it was a smash hit and I hope I can reach the same level with these new ones. I’m sure going to try. Thanks again to my fabulous co-authors on this blog tour. All pros, all have great experince to share with you on our blogs and some of us, including me, have other pages easily accessible from our blogsites that will help you make your own journey. Look around while you visit all these blogs. If you need help, you’ll find it on our blogs and websites. But first, remember, next week: Word Pictures, Christmas 2011. You don’t want to miss it. For starters, let me say that I was a prolific non-fiction writer (books, magazine articles, speeches, marketing literature). But when I started to write fiction back in 1990, I was puzzled to find that my first efforts at fiction were “dead.” That’s how I described my writing. Two years later, I figured out that my “fiction” lacked an essential ingredient. My words didn’t create a “fictional dream” in the mind of a reader. The late, John Gardner — novelist, teacher, and author of “The Art of Fiction” — coined that apt term to describe the “being somewhere else” experience a reader enjoys when reading a novel. Doing this is actually a fairly simple “craft” skill that many novelists do instinctively, but which I had to learn “the hard way,” through lots of trial and error. 1. Signal whose head to enter. 2. “Activate” one of the character’s five senses or a thought process. 3. Give the character’s initial reaction to what s/he sensed or thought. 4. Start the character thinking. Felicity Katherine Adams—Flick to her friends—yanked three more tissues from the box on her desk, blew her nose for what seemed the umpteenth time, and wondered when it would finally stop dripping. Blast them all—their closed minds and calloused hearts. obvious facts. Not one of them would pay attention to simple truth that Dame Elspeth was murdered. Now, here are the same paragraphs “parsed” into the four elements I listed above. Repeated use of the Magic Paragraph will establish and maintain a strong fictional dream. I consider it the single most important “craft secret” I learned about writing fiction. 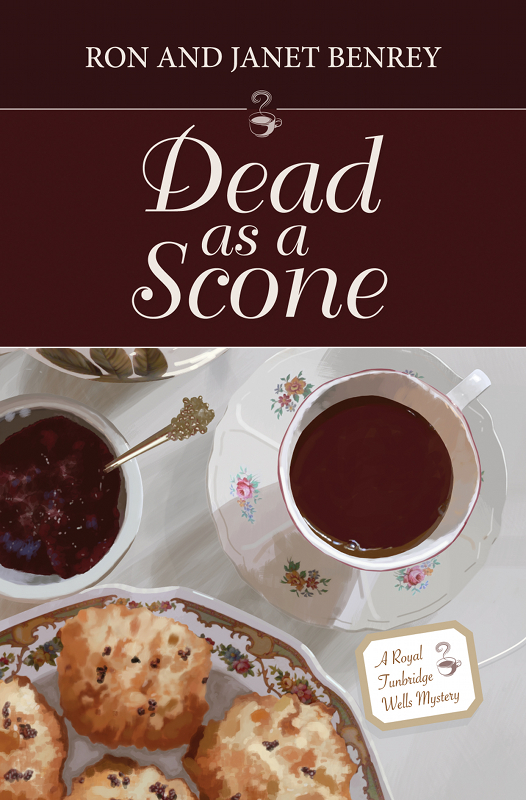 Murder is afoot in the sedate English town of Royal Tunbridge Wells … and the crime may be brewing in a tea pot! American scientist recently named the museum’s curator. 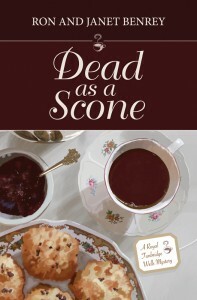 Ron Benrey writes cozy mysteries with his wife Janet. 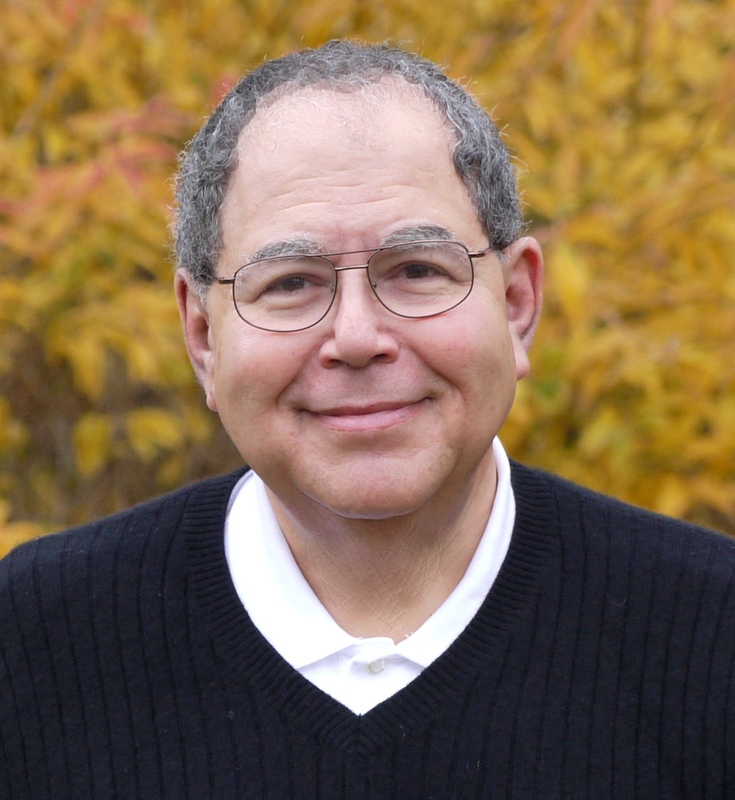 Ron has been a writer forever—initially on magazines (his first real job was Electronics Editor at Popular Science Magazine), then in corporations (he wrote speeches for senior executives), and then as a novelist. Over the years, Ron has also authored ten non-fiction books, including the recently published “Know Your Rights — a Survival Guide for Non-Lawyers” (published by Sterling). Ron holds a bachelor’s degree in electrical engineering from the Massachusetts Institute of Technology, a master’s degree in management from Rensselaer Polytechnic Institute, and a juris doctor from the Duquesne University School of Law. He is a member of the Bar of the Commonwealth of Pennsylvania. Ron, that’s an interesting point you make, and it’s well worth following up on in my own work. To my blog readers, please comment here if you’d like a chance to win a copy of Ron’s book. Cheers, All, Beth, who invites you to come back tomorrow for a recap of the whole author tour, and one last chance to have your name drawn for a free book, in my case a copy of Raven Talks Back in either print or Kindle. And thanks so much for stopping by!